Take every day to promote colon health! Helps eliminate toxins and waste! Concentrated source of all 5 fiber types! Colon Care promotes colon health with fiber, calcium, magnesium, selenium and FOS. 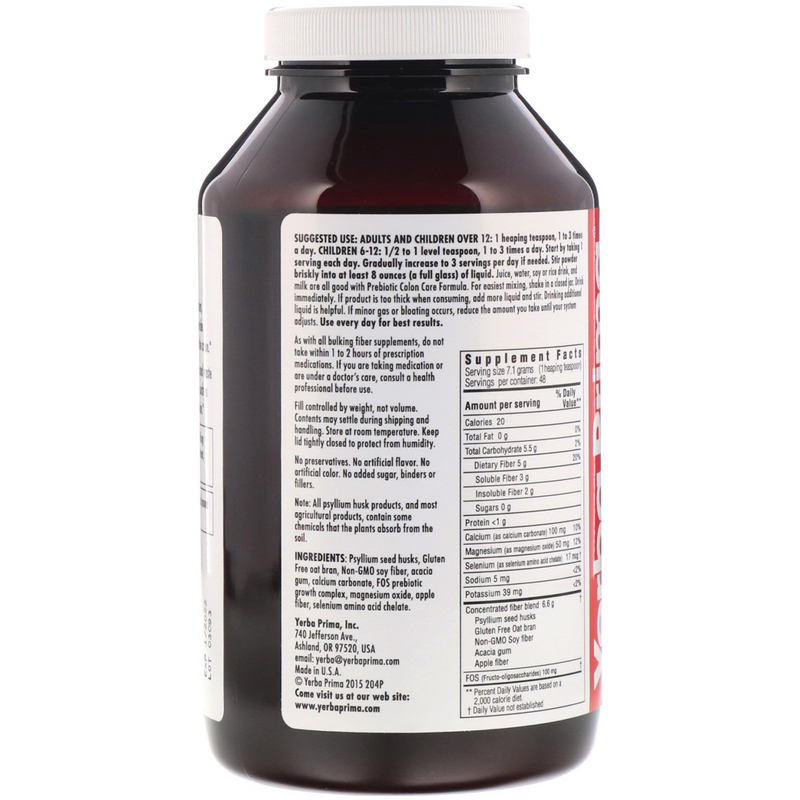 These nutrients provide dietary support for normal, healthy functioning of the colon. Colon Care supports regular elimination of toxins and waste material, promotes the growth of friendly bacteria, such as acidophilus and bifidus, and supports proper digestion. Adults and Children Over 12: 1 heaping teaspoon, 1 to 3 times a day. Children 6 -12: 1/2 to 1 level teaspoon, 1 to 3 times a day. Start by taking 1 serving each day. Gradually increase to 3 servings per day if needed. Stir powder briskly into at least 8 ounces (a full glass) of liquid. 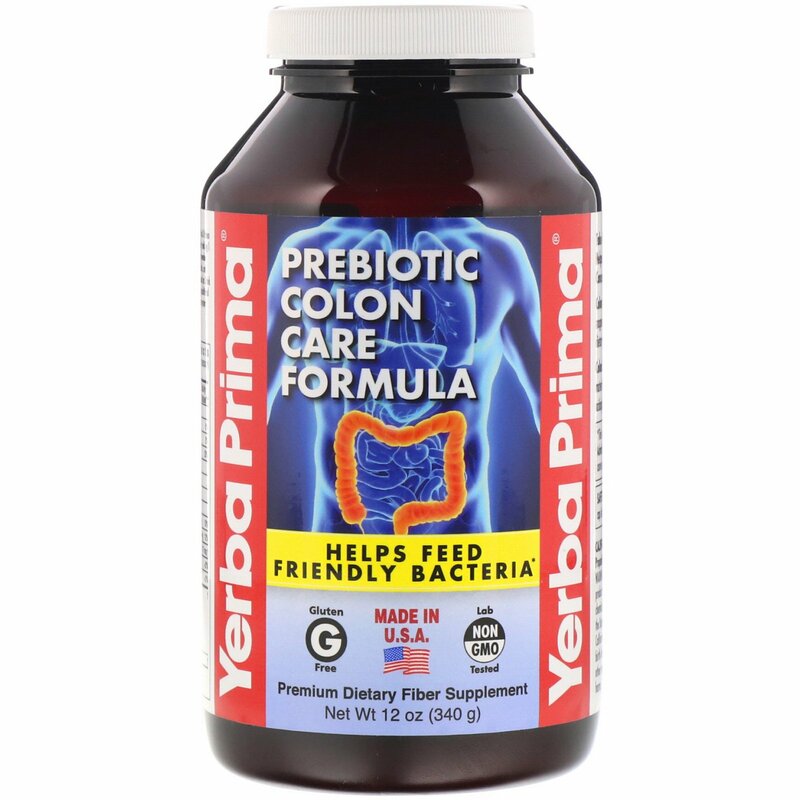 Juice, water, soy or rice drink, and milk are all good with Probiotic Colon Care Formula. For easiest mixing, shake in a closed jar. Drink immediately. If product is too thick when consuming, add more liquid and stir. Drinking additional liquid is helpful. If minor gas or bloating occurs, reduce the amount you take until your system adjusts. Use every day for best results. Psyllium seed husks, gluten free oat bran, non-gmo soy fiber, acacia gum, calcium carbonate, FOS prebiotic growth complex, magnesium oxide, apple fiber, selenium amino acid chelate. California Residents Only! Proposition 65 Warning: This product contains a chemical known to the State of California to cause birth defects or other reproductive harm. Fill controlled by weight, not volume. Contents may settle during shipping and handling. Store at room temperature. Keep lid tightly closed to protect from humidity.